7 – The location is very convenient. 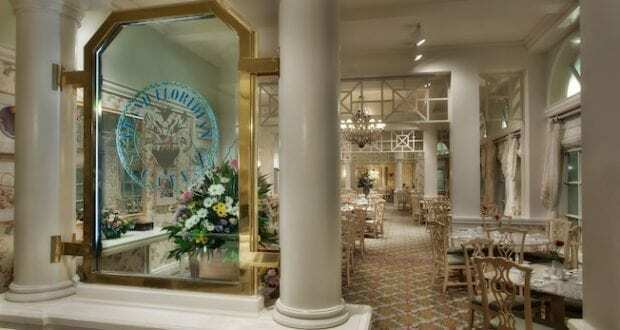 If the name didn’t give it away, the restaurant is located at Disney’s Grand Floridian Resort. It is on the 1stfloor of the resort in the main building, so it is easily accessible from the monorail, water transportation, and bus transportation. 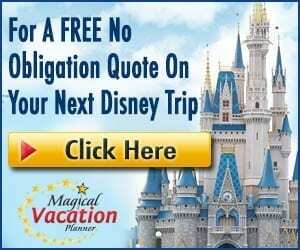 It is especially convenient if you are coming from the Magic Kingdom since there are multiple options to get to the Grand Floridian Resort from there. 6 – Another dining location beside the restaurants at the Magic Kingdom. If you are trying to find a place to dine and want a table service location, you may find that it is nice to get a little bit of a break from the park and dine at the resort. 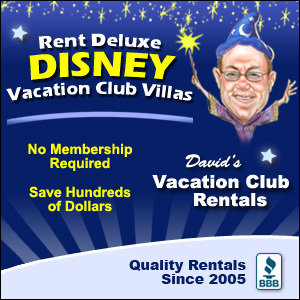 There are typically less crowds at the resort and it is much easier to get into, especially if you don’t have a reservation. 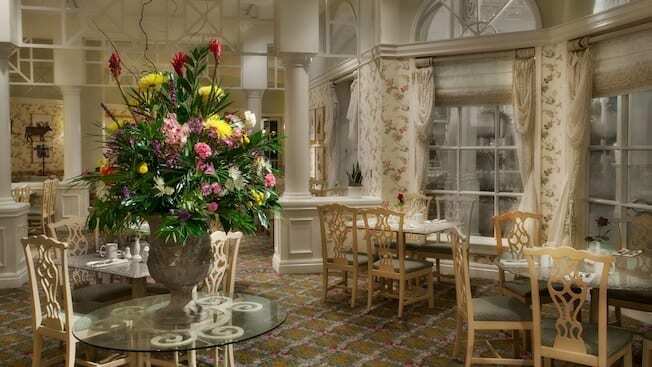 If you are looking for a last minute reservation or a walk-up spot, then you may be more likely to find it at Grand Floridian Café than at the restaurants located inside the park. You still get a delicious meal and amazing service without as much of the chaos. It is definitely a win-win. 5 – The theme and atmosphere are beautiful. The restaurant is perfectly themed to match the resort. It has the feel of a fancy, English tea party with all of the white décor and elegant finishings. It has a quiet atmosphere that feels more peaceful than many of the other restaurants that are typically roaring with activity and movement. This location feels much more laid back and is a great place to relax for a meal with the entire family. You get the feeling of a fancy place without the fancy price tag and feeling like kiddos won’t have a good time there. It is the best of all worlds. 4 – It’s a kid-friendly location. Even though the Grand Floridian Café looks like a location that may be on the ritzy, elegant side, it is actually very kid-friendly. The restaurant has menu items that the kids will enjoy and is a welcoming atmosphere for the entire family. There is a lot of booth seating, which is also great for smaller kids so that they have a little bit more freedom than they have sitting in a normal chair. Our kiddos love it there and getting to hear the orchestra playing in the lobby before and after the meal. 3 – The food is delicious. It really is amazing food. The breakfast options are classic, yet still classy and a notch above what you might expect. You can even get shrimp cocktail, quiches and a smoked salmon platter in addition to classics like pancakes, waffles, bacon, and eggs. For dinner, you will find steak, shrimp and grits, pork chops and more. They are dressed up a little more than what you might be used to, but oh so delicious. The Mocha Pot de Crème is one of my favorite desserts and I have to save room for it every time we go. You will definitely love a meal here! 2 – The service is amazing. 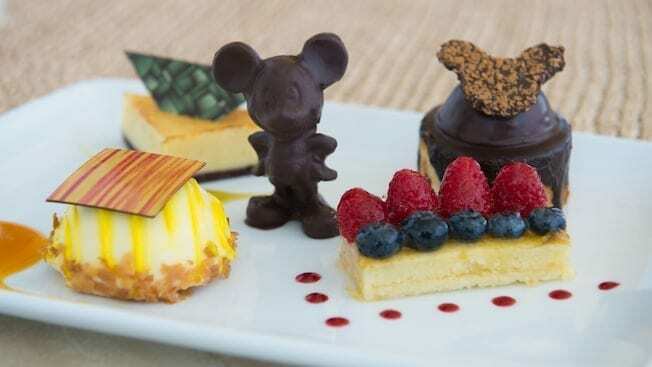 The service really is amazing at all Walt Disney World restaurants, especially compared to so many restaurants around the United States, but we have always had a great experience each visit at this restaurant. The servers are extremely helpful and great to talk to. We always try to strike up a conversation with our servers when we dine at Disney and it definitely makes a huge difference in our enjoyment of the entire meal. 1 – The food is moderately priced compared to other restaurants at the resort. The dinner entrees range from $21-33, which is pretty reasonably priced compare to other dining locations at the resort. The resort is home to 2 Signature Dining experiences and the most expensive, luxurious meal on property. These experiences are quite costly, so for a family on a budget, this is a great alternative to some of the other restaurants at the resort.